May 2018 – VillageReach has been awarded $14.7 million by the U.S. Agency for International Development (USAID) to strengthen the last mile supply chain in Mozambique. This 5-year cooperative agreement will support the development of a more streamlined and effective distribution system to address chronic logistics and transport challenges at the local level. An effective and efficient national supply chain that reaches the last mile is critical in ensuring the right medicines, diagnostics and other health commodities are available at the right time, place, and cost for those who need them. VillageReach will work in close partnership with the Mozambique Ministry of Health and technical partners Bolloré, ThinkWell, and Nichols Group LLC to improve the seamlessness and efficiency of transport and logistics systems all the way to primary health facilities. The project will start in Zambezia province, the second most populated province in the country, where it will strengthen health and development objectives including ambitious HIV prevention and treatment goals. 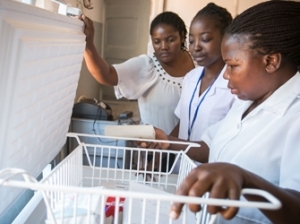 VillageReach has worked in Mozambique for more than sixteen years supporting the Ministry of Health’s comprehensive system redesign of the vaccine supply chain, vaccine information systems, and integrated and outsourced last mile logistics systems. VillageReach’s continuous improvement approach to last mile supply chain design and implementation increases the availability of vaccines by identifying efficiencies and improving performance management throughout the supply chain. This new project will apply past successes to increase the availability of medications and health commodities.